Man oh man this week has just got me beat! Stick a fork in me, I am DONE. But not done with this song. This, has been on repeat all week long (officially late to the party on LOVING it. I had downloaded forever ago but it didn't grow on me until recently). But, on the bright side, today is my Friday, in two weeks I will be on vacation in Miami (oh and marathoning) and tomorrow is the wedding of one of the dearest couples – so in general, life is pretty good. I also realized that I have not worked a full week in 6 whole weeks. And after next week it will be a few more before I do again. Thank you holidays for falling on awkward days, vacations and such. But for as tired as I have been, I have also been sleeping AWFULLY. We are talking fall asleep around midnight and wake up wide eyed at 4am. With that being said, I have (probably stupidly) been doing some double sessions at the gym this week. Taper? I’m not running more than scheduled but I have done some lifting and some extra cross training. I just have to burn off the energy somehow. 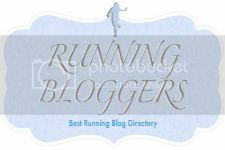 Running wise though – after the 20 on Sunday I did a straight cross train day on Monday and 5 on Tuesday which were very sluggish. I had to really recruit some mental power to make it through. I am sure it was a combination of heavy mileage, lack of sleep and mental exhaustion. This week I am really finding a strong correlation between being taxed out with work and that translating into my training. I suppose the good part is that I am hitting taper at the perfect time for work to explode! I am also kind of surprised by how CALM I am regarding the marathon. I am not in freak out mode…yet. That may come. I think I have been a little “testy” at times. I kind of don’t want to talk to anyone about the marathon unless they are a runner. Or my work people whom; a vast amount were high level/pro athletes. They get it. They’ve trained for something before. I posted this on my instagram this morning. It spoke volumes to me and I know a lot of you out there can understand that as well. There were a couple times during training that things got tough but it really is a mental game. 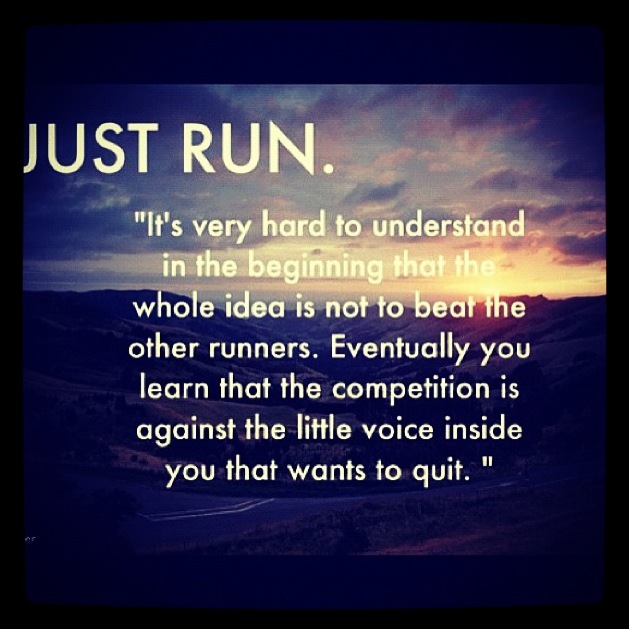 I know I am probably going to have to dig deep during the marathon if I lose my mental focus. I know I will probably be tired. I will probably be hurting. But I always try to remember and focus on how good I feel when I finish knowing I left everything I had on the road during the race. The worst feeling for me is finishing even if my time is good; but knowing that I could have done MORE. That is also a bit of my type A competitor side. So right now thoughts are of making it through the last few hours today and SLEEPING. Then dance dance dance the night away tomorrow. Football on Saturday (HOW did I get talked into playing?). And a 10 miler race (+2 for training) Sunday. Errrr some how I don't see being any less tired come Monday...but I wouldn't trade it for anything! I kind of love those busy busy weeks where I'm exhausted by the end but I've accomplished a lot. Hopefully you can get plenty of rest pre-marathon! I feel like I have been going full force for a while now! I do love being busy but glad I got some time to just mope around this past weekend and relax a bit.